For displaced populations worldwide, opportunities for return in safety and dignity have not kept pace with the rate of new displacements. Every continent has been affected, although the impact is overwhelmingly concentrated in developing regions. 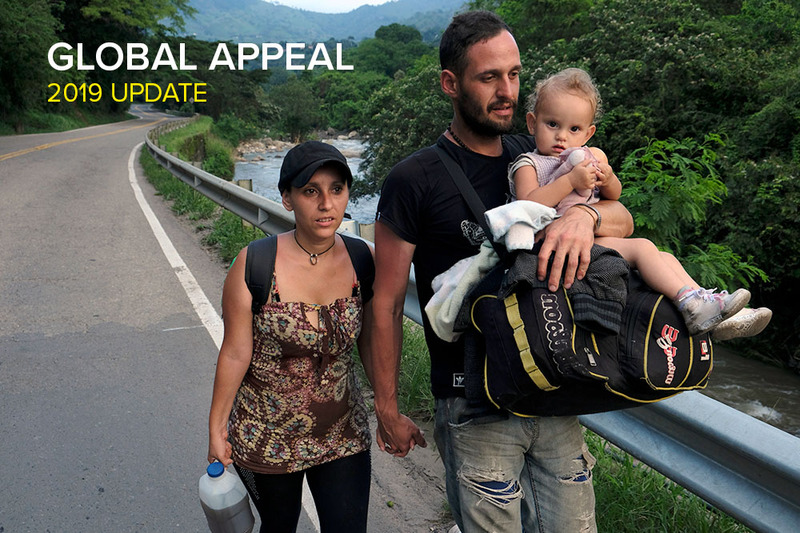 The Appeal highlights the many challenges that UNHCR and partners face in responding to such increasingly complex situations and the staggering humanitarian needs arising. The Global Appeal 2019 Update is available in full version or as individual chapters below. 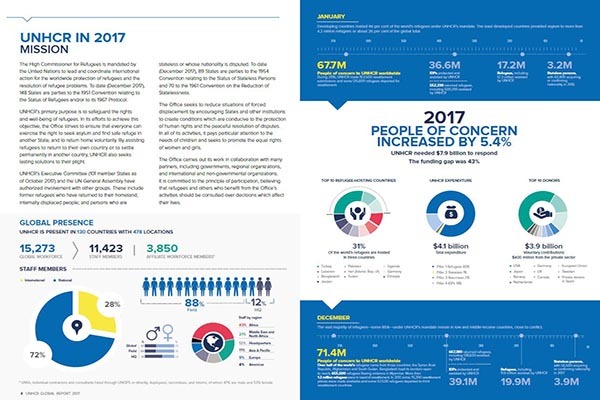 The Global Report reflects major achievements and challenges we, and our partners, faced throughout 2017 in attempting to respond to multiple life-threatening crises and the ever-growing needs of some 71.4 million people of concern to UNHCR—refugees, returnees, stateless persons, and internally displaced people. This Report presents the Office’s work at global and regional levels, underlining, among others, key progress with regards to the rolling-out of the Comprehensive Refugee Response Framework, new approaches to partnerships, financing mechanisms and how we pursued advocacy efforts to protect and improve the lives of the people we serve. The Global Report 2017 is available in full version or as individual chapters below. Showcasing key elements presented in the Global Report, the multimedia story Responding in a world in turmoil combines text, pictures, maps, stories, video and graphics to show some of the wealth of information presented in the Report in new and engaging ways. This included how UNHCR in 2017 protected people who were forced to flee war, violence and persecution, responded to their needs, identified solutions, developed innovative ways to deliver its mandate, along with references to the funding situation and to some of the challenges the Office faced. 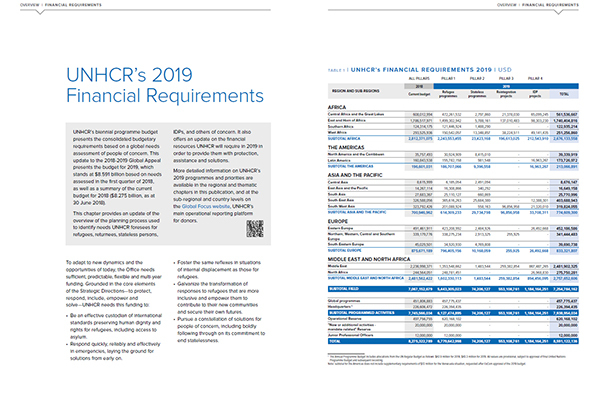 A Supplementary Appeal is UNHCR’s primary fundraising tools in new emergencies or situations not covered by the ExCom-approved annual budget as reflected in the Global Appeal. When new or unforeseen requirements exceed $10 million, a supplementary budget is created following approval. The Supplementary Appeal is the corresponding appeal document which enables UNHCR to present the situation and its response plan, and to raise funds for the supplementary budget. A total of USD 44.6 million requested for the period January ‐ December 2019. The situation evolving in Venezuela, a country that has traditionally been a generous host to thousands of refugees and third country nationals from the region and other parts of the world, has led to large outflows of its citizens and other residents into the region and beyond. 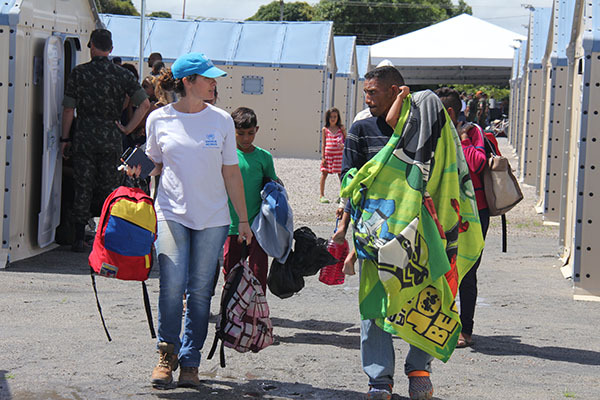 Whilst it is evident not all the Venezuelans leaving their country are prompted to do so for refugee-related reasons, it is becoming increasingly clear that a significant number are indeed in need of international protection. Refugees and migrants continue to move in large numbers from Sub-Saharan Africa to North Africa and across the Mediterranean Sea to Europe. Libya remains the main point of departure for the majority of refugees and migrants from Africa hoping to reach Europe. While on the move, refugees and migrants face intolerably high risks of grave human rights violations and death. Africa, and countries in North Africa and Europe. UNHCR is appealing for USD 83.7 million in additional requirements for the period September 2017 – February 2018, including USD 57.3 million for 2017 and USD 26.4 million for 2018. 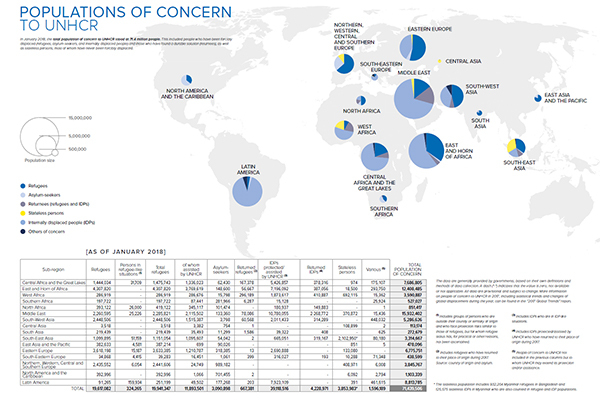 With an estimated 461,434 people of concern by the end of 2017, UNHCR is appealing for $421.2 million* for January to December 2017.This Appeal complements activities in a range of related processes and other appeals, with all of the planned activities in accordance with the multi-stakeholder, ‘whole-of-society’ approach endorsed in the New York Declaration. 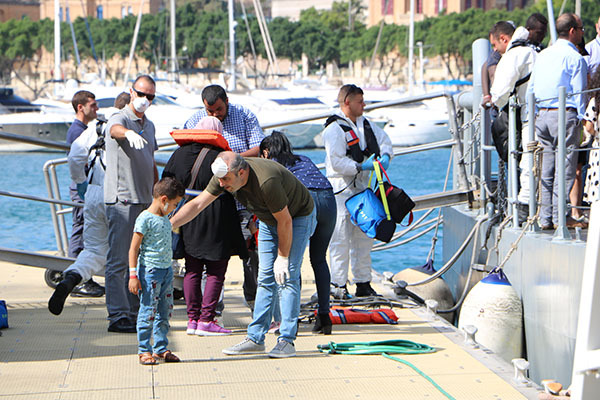 Between January and June 2017, 2,171 refugees and migrants died or went missing in the central Mediterranean, many of them trying to cross from Libya to Italy. Movements of refugees and migrants from Libya to Europe are increasing. Instability in Libya is hindering protection and creating an environment plagued with human rights abuses. The scale of movements at the cross‐regional level highlights the specific risks refugees and migrants encounter while en route to Libya, and then onto Europe. Given the specificities of the migration flows, and the context in Libya, the humanitarian response must be both flexible and comprehensive. The proposed strategy is three pronged, with broad objectives and selected activities in countries of origin and or transit in sub-Saharan Africa, in North Africa, and in destination countries in Europe. In sub-Saharan Africa, UNHCR will target countries of asylum, origin and transit to mitigate identified protection risks along routes. Interventions will include raising awareness of risks and improving communication with communities likely to travel towards Libya. 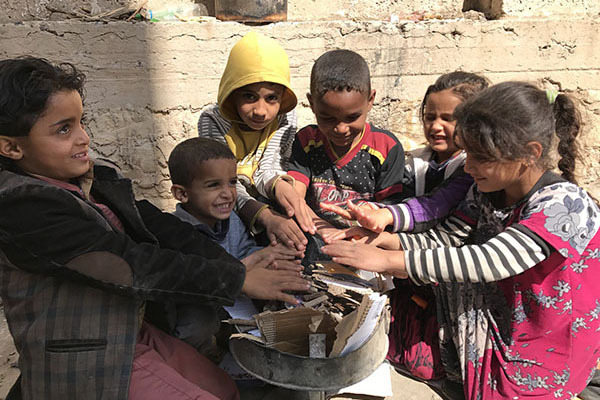 In North Africa, UNHCR will work to prevent refoulement; improve access to territory and asylum; conduct awareness raising and advocacy on the dangers of irregular migration; and enhance the overall protection space. In Europe, UNHCR will continue supporting, complementing and building existing government capacities to ensure effective and safe access to asylum, protection services and solutions for people of concern, with particular attention to those with specific needs and vulnerabilities. * All dollar signs denote US dollars. This total includes regional and global activities, and support costs (7 per cent). * This total includes regional and global activities, and support costs (7 per cent). * All dollar signs in this document denote United States dollars. This total includes 7% support costs. Since December 2013, some 855,800 South Sudanese have fled to neighbouring countries, including the Central African Republic, Democratic Republic of the Congo, Ethiopia, Kenya, Sudan and Uganda. In addition to this outflow, a further 120,000 South Sudanese who never returned after the end of the 20-year civil war remain refugees in Ethiopia, Kenya and Uganda, as do an estimated 350,000 South Sudanese who remained in Sudan after South Sudan’s independence in 2011. Population outflows have continued despite the signing in August 2015 of the agreement brokered by the Intergovernmental Authority on Development on the Resolution of the Conflict in the Republic of South Sudan, and the subsequent formation at the end of May 2016 of the Transitional Government of National Unity in South Sudan. These outflows resulted in a revision of the South Sudan Regional Refugee Response Plan (RRP) and the creation of a UNHCR Supplementary Appeal for the South Sudan Situation in July 2016. Shortly after the finalisation of this Supplementary Appeal, however, renewed fighting in Juba, South Sudan triggered another mass outflow of South Sudanese people. 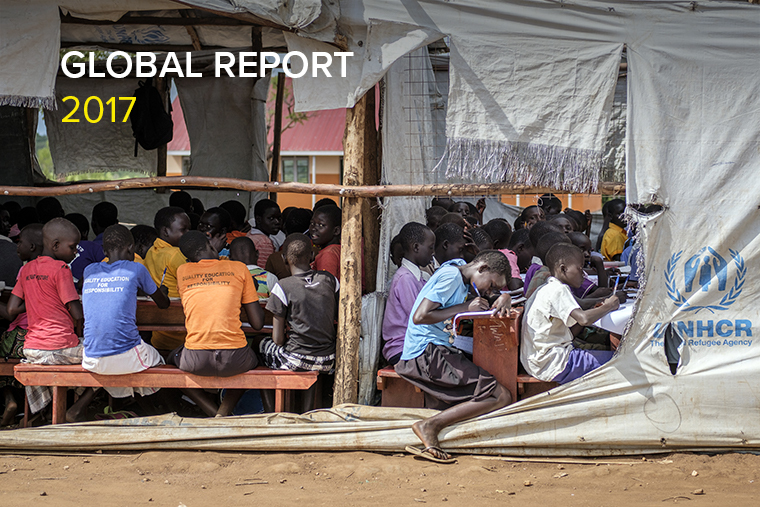 Since 7 July, over 120,000 people have fled to neighbouring countries, mostly to Uganda. This influx has exceeded Uganda’s end of year planning figure of potential refugees from South Sudan. The significant population upsurge in Uganda of over 70,000 South Sudanese refugees since the beginning of July and increase in their associated humanitarian needs has prompted a second revision of the Uganda country chapter of the 2016 South Sudan Regional RRP and the UNHCR Supplementary Appeal in August 2016. With this second revision, the overall end of year population planning figure for South Sudanese refugees in Uganda has risen from 271,000 to 350,000 people, with the country currently hosting over 300,000 South Sudanese. Throughout 2015, increasing numbers of people risked their lives to cross the Mediterranean Sea in search of safety and protection in Europe. By early January 2016, more than 1 million refugees and migrants had crossed the Mediterranean, including more than 850,000 who arrived in Greece from Turkey. From January to July 2016 some 260,000 people had arrived in Southern Europe. 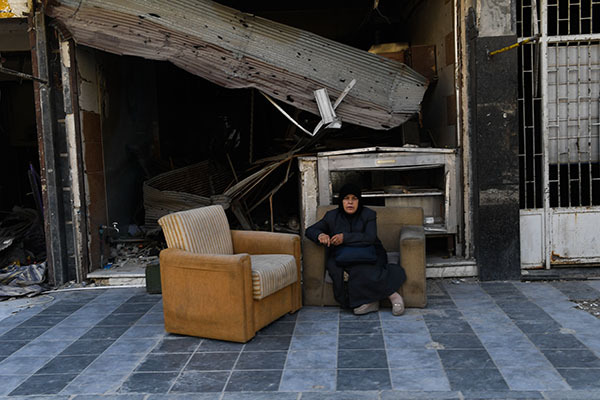 The majority originate from countries affected by conflict, with 48 per cent of those who arrived in Greece originating from the Syrian Arab Republic (Syria), 25 per cent from Afghanistan, and 15 per cent from Iraq. * These totals include regional activities and support costs (7%) for additional requirements. ** No additional requirements are requested in response to the Somalia Situation in Djibouti and Ethiopia. * This total includes support costs (7 per cent). 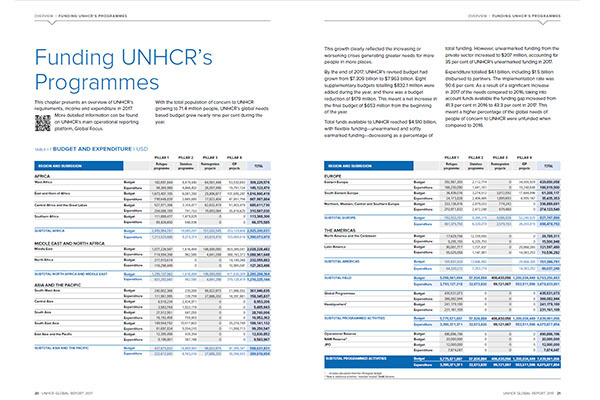 In order to scale up resettlement and solutions initiatives, UNHCR has established a supplementary budget totalling USD 39.2 million in additional requirements in 2016, including support costs. Read the entire Supplementary Appeal here. * This total includes support costs (7%). Refugee Response Plans (RRPs) are comprehensive inter-agency plans designed to respond to refugee emergencies. 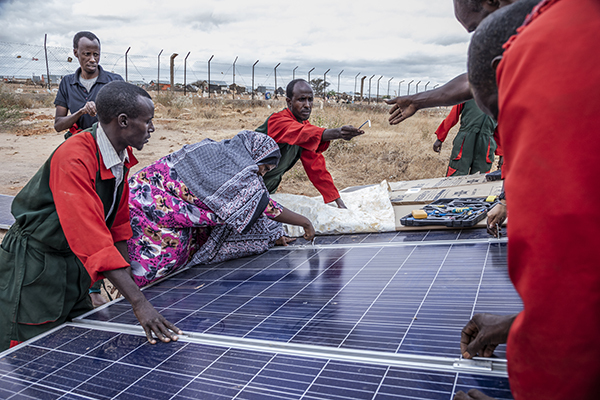 They are a key feature of the Refugee Coordination Model, as the vehicle through which leadership and coordination of a refugee response may be exercised. An RRP articulates the protection and solution priorities; describes the needs of refugees, host communities, and other people of concern; identifies relevant responsible actors; and defines the financial requirements of all the humanitarian actors. It builds on national preparedness measures and existing contingency plans. Pays enclavé, le Tchad partage ses frontières avec le Soudan à l'est, la République Centrafricaine (RCA) au sud, le Cameroun, le Nigeria et le Niger à l'ouest et la Libye au nord. Au cours des deux dernières décennies, ce pays a généreusement accueilli des centaines de milliers de réfugiés ayant fui les conflits et les persécutions au Soudan, en RCA et au Nigéria et leur a fourni protection et assistance bien qu'étant à la 186ème place sur 189 pays listés par l'Indice de développement humain 2017 (PNUD). The United Republic of Tanzania was host to 330,755 refugees and asylum-seekers by 31 October 2018, mainly from Burundi (245,9641) and the Democratic Republic of the Congo (DRC) (84,170) from 15 different nationalities (621). 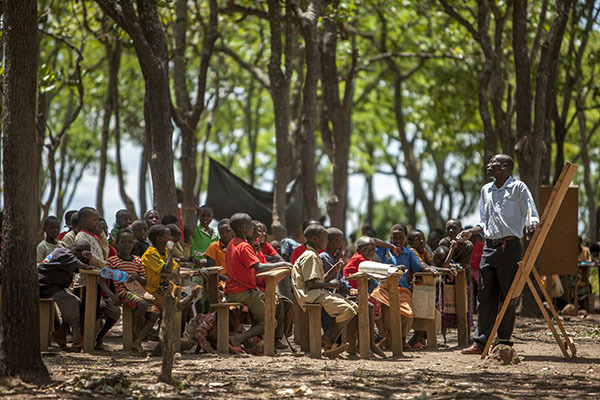 A small population of refugees of mixed nationalities (270) are hosted in urban centres, mainly in Dar es Salaam. The majority of refugees and asylum-seekers live in three refugee camps in north western Tanzania: Nyarugusu, Nduta and Mtendeli. Ethiopia has a long standing history of hosting refugees. The country maintains an open door policy for refugee inflows and allows humanitarian access and protection to those seeking asylum on its territory. In 2004, a national Refugee Proclamation was enacted based on the international and regional refugee conventions to which Ethiopia is a party (1951 Convention relating to the Status of Refugees, and its 1967 Protocol and the 1969 OAU Convention). 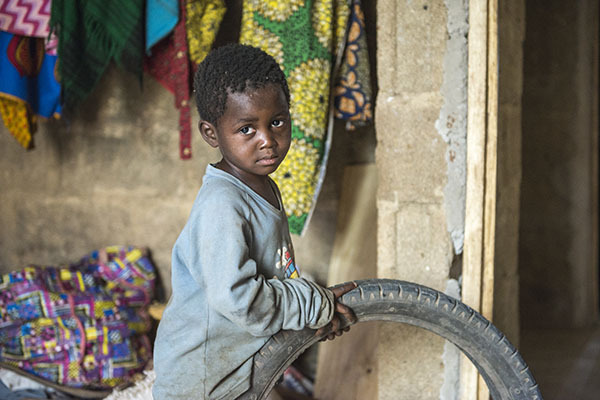 For decades, the Democratic Republic of the Congo (DRC) has maintained an “open-door policy” to refugees, welcoming on its territory hundreds of thousands of people fleeing conflict and violence from neighbouring countries. DRC is party to the 1951 Convention and the 1967 Protocol, and the 1969 AU Convention. In 2002, the DRC adopted a national refugee law, establishing the CNR (Commission Nationale pour les Réfugiés – the National Refugee Commission) to process asylum applications and ensure the protection of refugees. Over one million refugees have fled to Uganda in the last two and a half years, making the Pearl of Africa the third largest refugee-hosting country in the world after Turkey and Pakistan, with 1.36 million refugees by June 2018. Wars, violence and persecution in the Horn of Africa and Great Lakes Region were the main drivers of forced displacement into Uganda, led by South Sudan’s conflict, insecurity and ethnic violence in the Democratic Republic of the Congo (DRC) and political instability and human rights violations in Burundi. 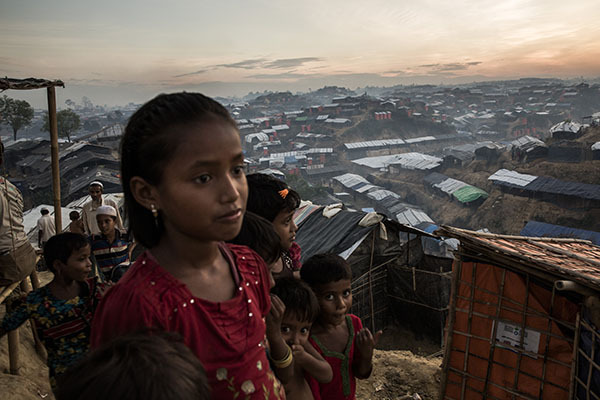 Since 25 August 2017, targeted violence against Rohingya communities in Rakhine State, Myanmar, has forced 671,000 people, mostly women and children, to flee their homes. 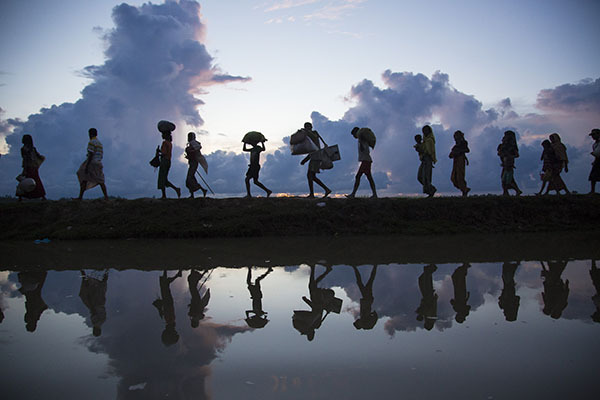 This exodus has become one of the fastest growing refugee crises in the world. 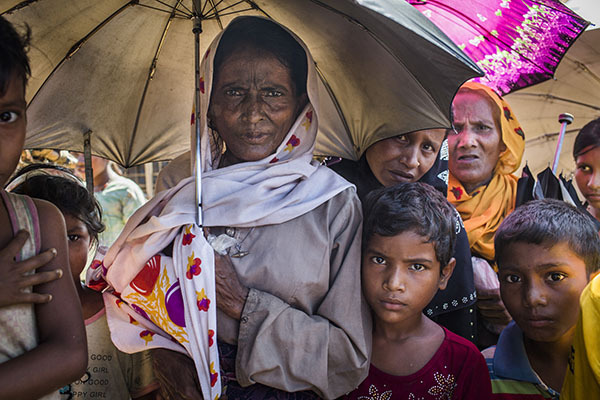 The Government of Bangladesh opened its borders to Rohingya refugees and continues to lead the humanitarian response. In support of these efforts, the humanitarian community has rapidly scaled up its operations. The conflict in Syria continues to drive the largest refugee crisis in the world. Over 5.3 million Syrians are registered as refugees in neighbouring countries as of 1 December 2017. Despite the exceptional generosity demonstrated by host countries, host communities, and donors, most Syrian refugee families across the region continue to lack the necessary resources to meet their basic needs. For 2018, the United Nations and NGO Partners are appealing for USD 4.4 billion to support ongoing national efforts to respond to the Syrian refugee situation, including addressing immediate protection and basic needs as well as resilience activities for refugees and host communities. This Regional Strategic Overview outlines the strategic directions of the 3RP approach, summarizes the nationally-led plans and describes each sector response across the region. The situation inside Syria has remained fluid during 2017. While ongoing violence in many parts of the country led to large-scale displacement, other areas witnessed a relative decrease in violence compared to previous years. Against this backdrop, there was no large-scale arrival of refugees into neighbouring countries over the past year. However, the number of registered refugees increased from 4.8 million this time last year to 5.3 million this year due to the registration of an additional 570,000 Syrian refugees across the region. This primarily reflects newly registered Syrians (including new arrivals) as well as newborns in the five 3RP countries. Across the region, borders and admission practices remained closely managed, affecting the ability of many individuals to seek the protection they need. 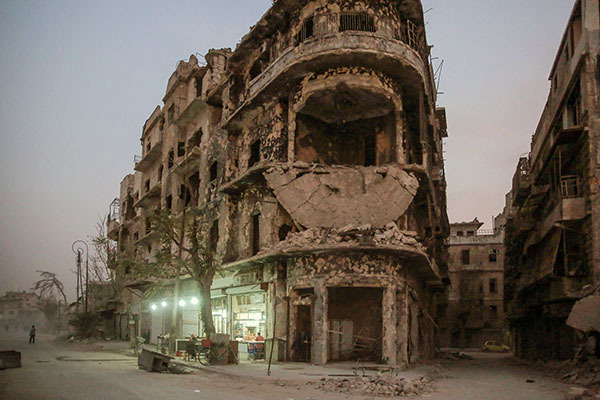 Read the entire Syria 3RP Regional Strategic Overview here. The revised requirements amount to USD 429.3 million to assist a planned population of 534,000 Burundian refugees in Tanzania, Rwanda, DRC and Uganda. The RRP has 30 partners. Read the entire Regional Refugee and Migrant Response Plan for Europe here. Read the revised Regional Refugee and Migrant Response Plan for Europe here. In addition to Supplementary Appeals and Refugee Response Plans, UNHCR issues appeals or similar documents for other situations. These may include, for example, a focus on the needs for children’s education; to highlight UNHCR’s activities regarding multi-year solutions; or to spotlight the objectives surrounding UNHCR’s plans to reduce statelessness. 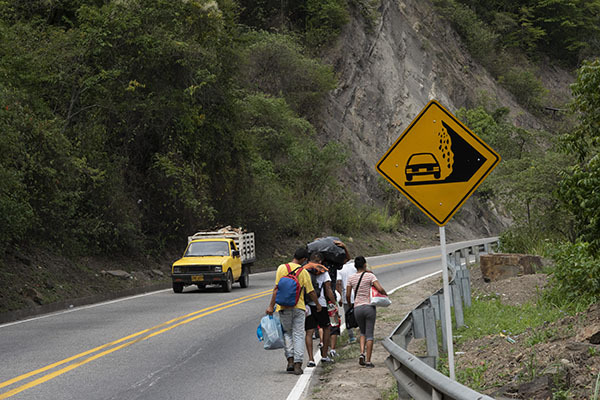 In the North of Central America (NCA) tens of thousands of people have been forced into displacement by a confluence of factors that have led to an escalating situation of chronic violence and insecurity. These factors range from the influence of organized crime such as drug cartels and urban gangs, to the limited national capacity—compounded by corruption, poverty and exclusion—of States to provide protection. 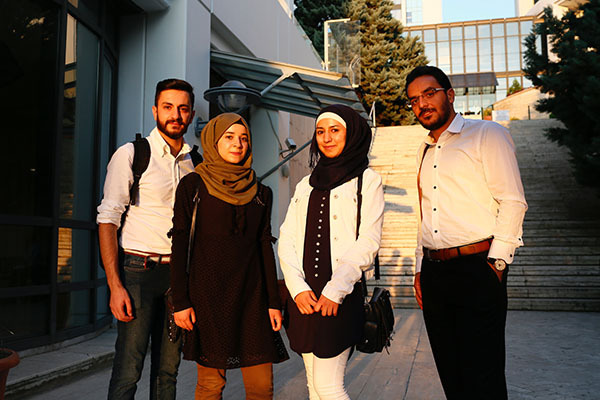 The Solutions Capital Initiative is a donor pact in the spirit of the New York Declaration and the consultations leading to the Global Compact on Refugees as well as the commitments made as part of the Grand Bargain. As part of this Pact, UNHCR is seeking additional funds to enable a select group of operations to implement their Multi-Year and Multi-Partner Strategies. The selected operations include: Costa Rica, Ecuador, Ghana, Malawi and Kenya. All UNHCR stakeholders – including the people we serve, partner agencies, UNHCR personnel, and host and donor governments - rightly have high expectations for strong systems to prevent, mitigate, respond and learn lessons on all forms of misconduct, fraud, corruption, sexual exploitation and abuse (SEA), and sexual harassment (SH). 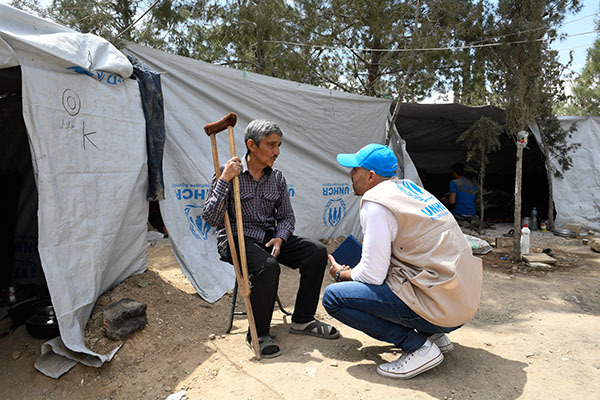 UNHCR acknowledges that many of our operations are in high-risk environments, physically and due to the nature of our work, and we remain deeply committed to ensuring the integrity of all our activities. 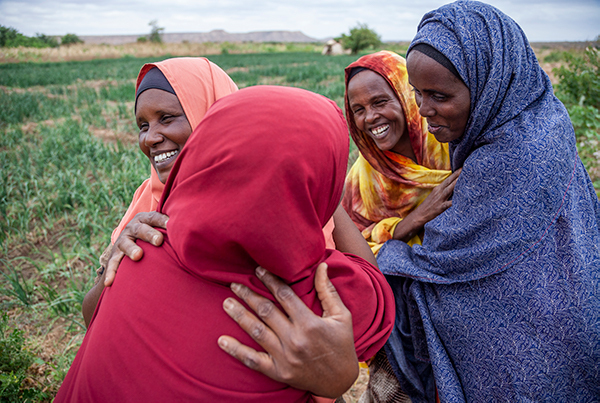 Financial services have a critical role to play in mitigating refugee situations and assisting in a manner that is effective, accountable, and ensures resilience especially for forcibly displaced persons and their host communities in protracted situations. Affordable access to financial services can help refugees cope with negative shocks, reduce exposure to risk, and stimulate economic activity at community levels. 2017 was a difficult year for the tens of millions of people of concern to UNHCR, and difficult for the Office in providing a principled, predictable and accountable response. 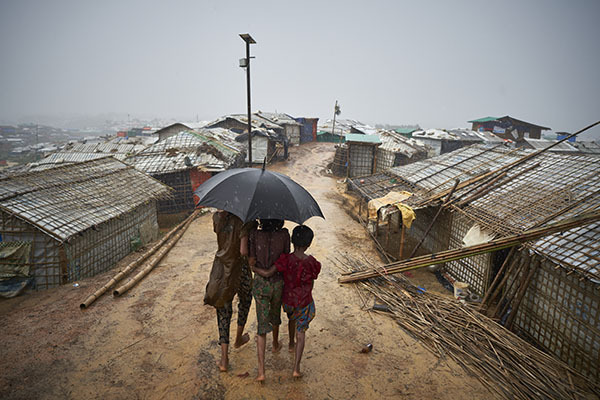 A major emergency erupted in Myanmar, the situation deteriorated further in crises like the Central African Republic, along the central Mediterranean route, and in the Democratic Republic of the Congo, while the protracted nature of other crises such as Afghanistan, Iraq, South Sudan and Syria demanded ever more of UNHCR and its partners. 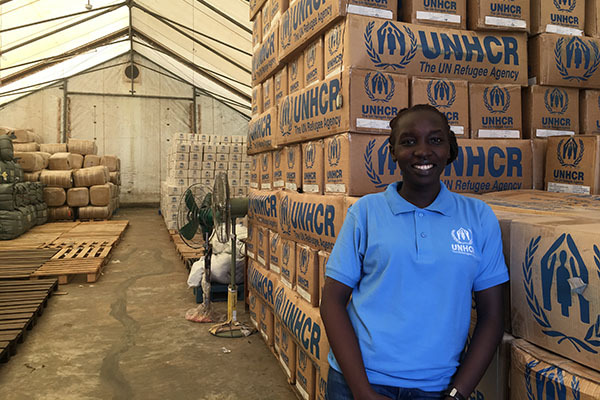 UNHCR has a total workforce of some 15,000 individuals, comprising UNHCR staff and affiliate personnel, working in 473 locations across 130 countries. 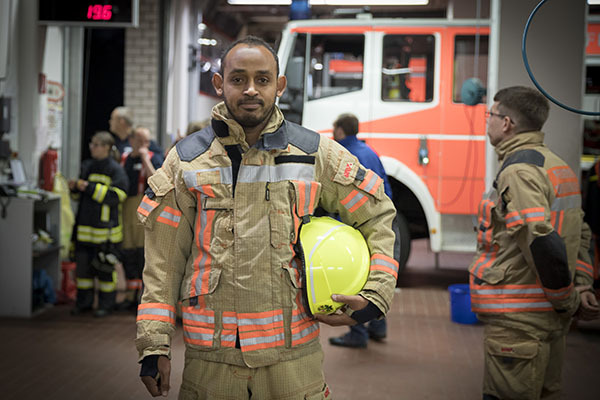 Since 2011, UNHCR staff has increased by 40% to respond to multiple emergencies across the globe. This corresponds to a 62% growth for international staff and 33% growth for national staff. During the same period, there were 385 conversions of national staff to international professional category, representing more than a third of staff appointed on fixed-term appointments between 2011 and June 2017. This growth is concurrent with the unabated levels of global displacement, with 67.7 million people of concern to UNHCR worldwide. The funding gap is widening, now standing at 54%. Based on indications received from donors and analysis of funding trends, UNHCR estimates the gap may reduce to 47% by year’s end. A 54% funding gap corresponds to $4.4 billion, which would have a devastating impact on people on concern and require UNHCR to radically prioritize its support for critical needs. The Common Refugee Response Framewrok (CRRF) is in its early stages of development. As foreseen in the New York Declaration, the host country governments are taking the lead role in applying the CRRF at country-level, facilitated by UNHCR and with the support of a broad range of humanitarian and development actors. Strategies and implementation plans for the practical application of the CRRF are in place in all roll-out countries and are adapted to the local contexts. This appeal is issued to cover UNHCR’s costs for supporting the work of the CRRF Task Team in 2017. It includes the CRRF Task Team in Geneva, UNHCR’s additional capacity to cover the development of the Global Compact for Refugees, as well as the most pressing staffing needs in the CRRF roll-out countries and regions. This appeal does not yet cover requirements for 2018. These are under consideration and as soon as they are approved the 2018 plans for the CRRF Task Team and the corresponding budget will be shared. The operational requirements of UNHCR and partners for the practical application of the CRRF at country and regional levels are also under consideration and will equally be shared once approved. Costa Rica, Djibouti, El Salvador, Ethiopia, Guatemala, Honduras, Mexico, Panama, Somalia, the United Republic of Tanzania, and Uganda are the 11 CRRF roll-out countries at this stage. The principal criteria for selecting these countries is the agreement of the host country government to initiate applying a comprehensive refugee response and developing new approaches in accordance with it. As foreseen in the NYD, these countries equally provide a range of diverse geographic and operational contexts from which to derive lessons for the development and application of a truly new and comprehensive approach to protecting and seeking durable solutions for refugees. 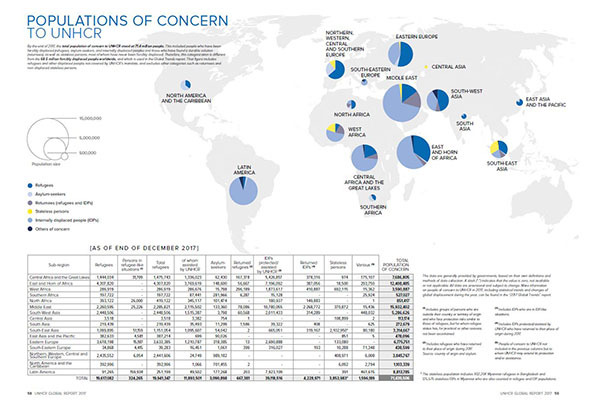 2016 was a year of extremes for the people of concern to UNHCR, with new or protracted crises across the world, on all continents. It was also one of financial extremes for UNHCR as it worked to protect people and mitigate the effects of conflict or displacement. It saw the Office end the year with its highest budget, of $7.509 billion, up from $6.546 billion at the beginning of the year. 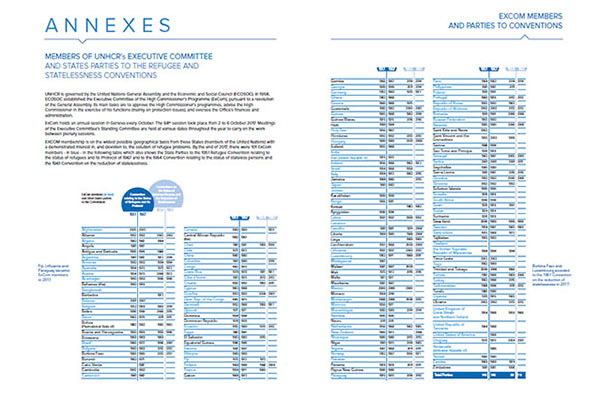 Responding to unsustainable trends in structural costs and financial challenges within the organization, in 2006 UNHCR embarked upon a comprehensive set of internal reform measures. 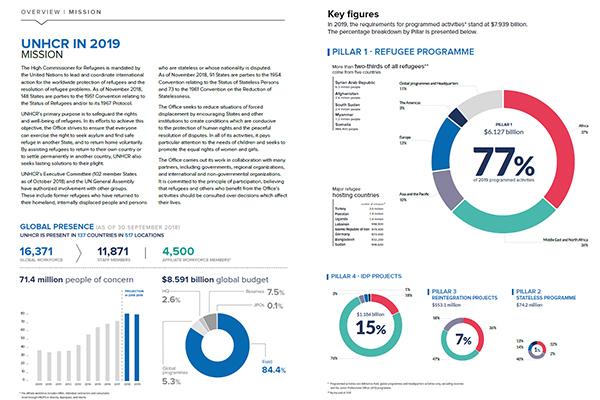 This was necessary to increase the percentage of resources directly devoted to protection, assistance and solutions for people of concern and to reduce the share of funding spent on the organization itself, a basic precondition to increasing UNHCR’s efficiency and improving its delivery. Statelessness is a global problem with serious ramifications. 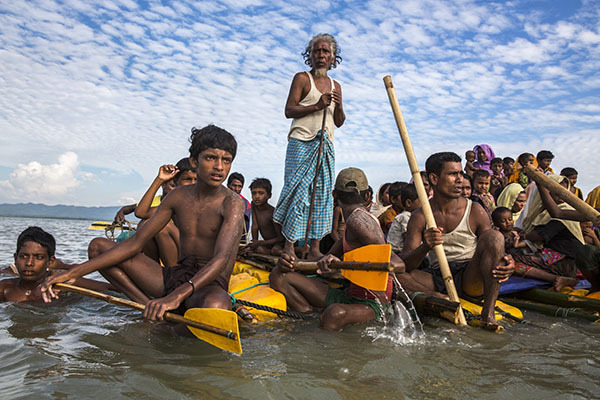 UNHCR estimates that at least 10 million people around the world are stateless. Yet, experience has shown that with sufficient political will, it can be resolved. 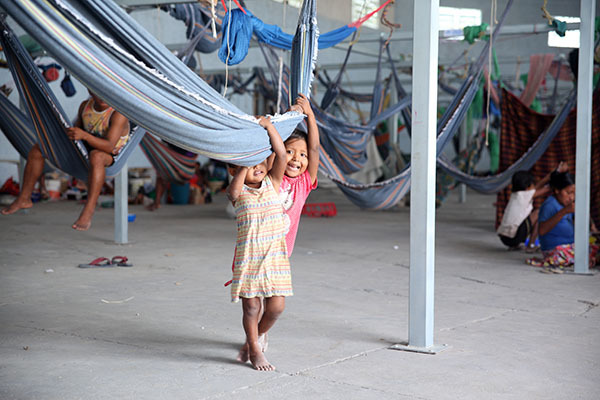 Building on the increased awareness and commitment by States to address statelessness, in November 2014, UNHCR launched the #IBelong Campaign to End Statelessness by 2024.1 The achievement of the goals of the #IBelong Campaign is based on 10 Actions set out in the Global Action Plan (GAP) to End Statelessness. In 2015, UNHCR launched multi-year, multi-partner planning pilots in six operations—Costa Rica, Ecuador, Ghana, Senegal, Uganda and the United Republic of Tanzania—to test new approaches to the design, implementation, monitoring and evaluation of UNHCR country programmes. The aim is to provide tools for UNHCR to develop more innovative long-term programmes with partners, which are complementary to ongoing development efforts and enable UNHCR to be a more predictable partner. In light of the recent and rapid expansion in the number of emerging resettlement countries willing to develop resettlement programmes, a need has been identified to set up a platform specifically designed to facilitate and channel in a strategic and coordinated manner, the support needed by new and emerging resettlement countries to start these programmes. Focusing on 16 countries in Africa, Asia and the Middle East – which collectively host 2.1 million refugee children of school-age (5-17 years), an estimated 57 per cent of whom are out of school – this document highlights targeted activities and requirements that could enable tens of thousands of refugee children to enrol in school during the upcoming academic year. These activities also seek to support retention of currently enrolled students; redress classroom over-crowding and a lack of qualified teachers; provide critical learning materials; and generally contribute to a safe and protective learning environment for all students. 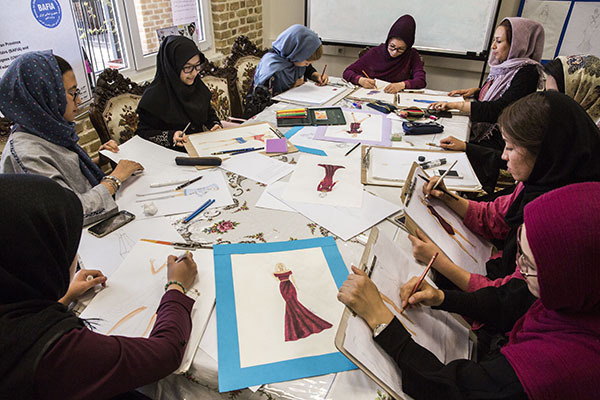 While early last year there was a sense of optimism about the situation in the Islamic Republic of Afghanistan, the country has reverted back to a humanitarian emergency, combined with dire socioeconomic conditions. Since mid-2015, a series of political, security and economic developments in Afghanistan have affected its people and forced large numbers out of their homes with, in the last year and a half, over 500,000 people newly displaced within the country. There are now some 1.2 million internally displaced people in Afghanistan. Today, Afghans constitute the second largest group of new arrivals in Europe.